Illinois Court: Emanuel Can Run In Chicago Mayor's Race : The Two-Way Rahm Emanuel will be on the February 22 ballot that decides who will be the next mayor of Chicago. Former White House Chief of Staff Rahm Emanuel smiles after being endorsed by U.S. Rep. Mike Quigley on Thursday. 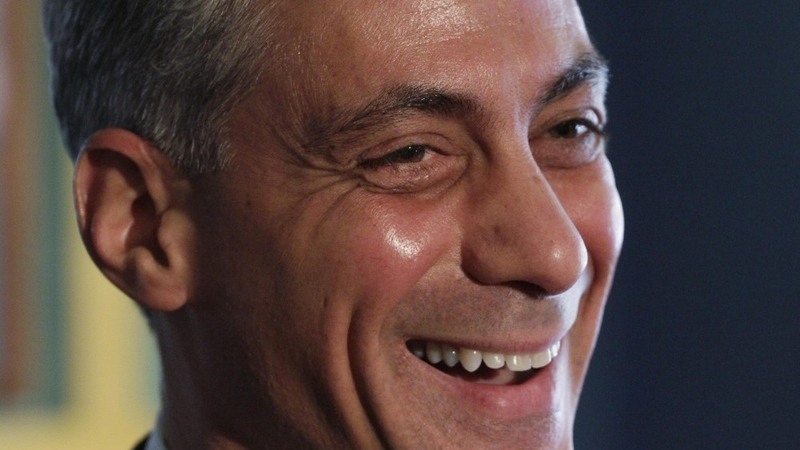 Rahm Emanuel will be on the February 22 ballot that decides who will be the next mayor of Chicago. The Illinois Supreme Court overturned an appeals court ruling that said Emanuel did not meet the residency requirement for the race. Emanuel worked for two years at the White House in Washington as the president's chief of staff. "His lawyers raised several points, including that the appeals court applied a stricter definition of 'residency' than the one used for voters. They say Illinois courts have never required candidates to be physically present in the state to seek office there."